As one of seven artists, I have 5 dog paintings in a fundraiser for Red Dog Farm Animal Rescue Network. The Center for Creative Leadership at One Leadership Place, Greensboro, NC is hosting a special wine & cheese reception on Friday, April 26, 2013 from 5 – 7pm. Netop, the painting dog, will put on a demonstration. That should be fun! 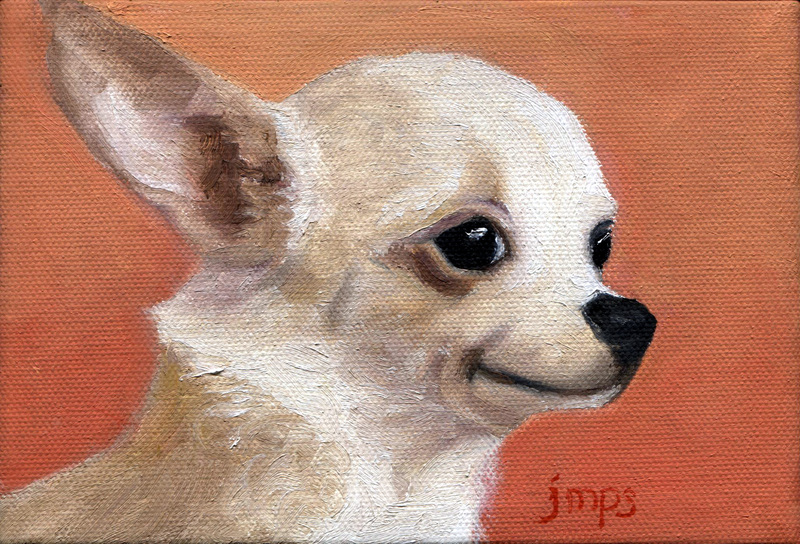 This little chihuahua is one of the paintings I have in the show.